We will use a Genuine Dermaroller™ medical device to produce thousands of micro-medical needle-columns in the skin. Each column will penetrate into the dermis of the skin and will be approximately 0.1mm in width. The column will close rapidly enabling the skin to recover quickly - often in the same day. Your practitioner will use a topical anaesthetic to numb the skin making the procedure comfortable; it will normally take up to 30 minutes for the topical anaesthetic to work and 20 - 30 minutes for the Genuine Dermaroller™ Therapy procedure. 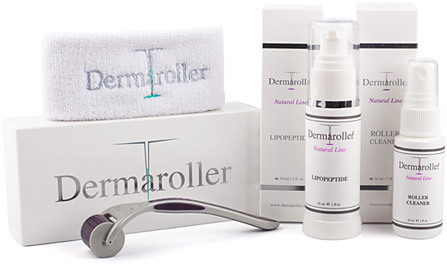 We normally recommend that your Genuine Dermaroller™ Therapy™ consists of a series of three Genuine Dermaroller™ procedures with approximately 6 weeks between them.